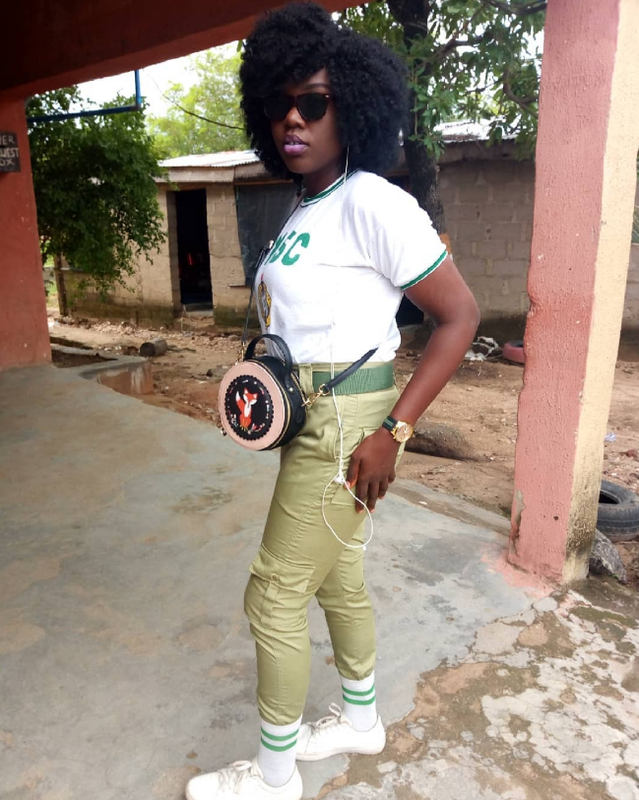 A Nigerian lady and a journalist identified as Sandra Akinsoyinu has taken to her Instagram page to share her experience with a man who has interest in her. “So I have a beautiful one to share today, I went out to my ppa, on Wednesday, then I had to see my boss at the Kogi state govt house. On my return I thought I should chill in a by-the-road shop to buy a bottle of drink. Then the owner of the shop on knowing I’m a Corp member asked for my contacts and all that which I gave him. In the evening he called saying I love you and miss you story, and he wants to come to my house to visit, this is a man in his late 40s. I just invited baba to come over Sunday evening by 4pm. He even asked what should he bring for me. I described NCCF Lokoja to Him. Meanwhile 4pm is our fellowship time. He was very punctual. He brought 3 fresh apples. He was asking where is my room I just said let’s attend this fellowship small. He has been there since till 6pm, In a nutshell, baba is one our first timers. . He later went out saying time has gone. 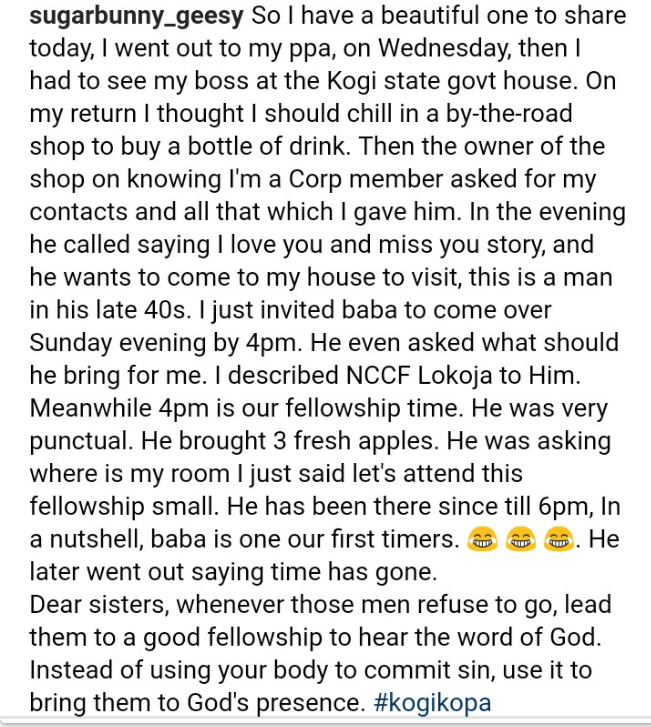 0 Response to "Lady Serving In Kogi State Shares Her Experience With A Man Interested In Her(Read)"